The Problem Texts for Sovereign Grace outline has been published as a paperback book on Amazon. For the book description, go here. To download the outline for free and to listen to the entire series, click here: Problem Texts. 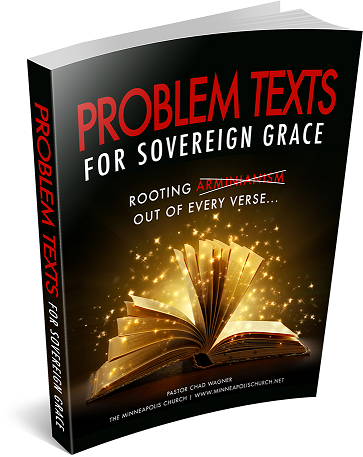 The following are links to the initial sermons in the Problem Texts for Sovereign Grace series which lay the ground work for understanding Sovereign Grace. The following are verses which opponents of the doctrine of Sovereign Grace use to try to contradict this Biblical doctrine. Each verse is a link to an outline and MP3 recording of a Bible Study in which the verse was properly interpreted and explained.